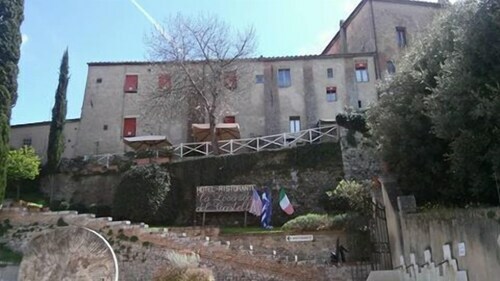 Situated in a rural location, this historic property is within a 10-minute walk of Museo del Tartufo and San Giovanni d'Asso Station. Val di Chiana and Torrenieri Montalcino Station are also within 6 mi (10 km). 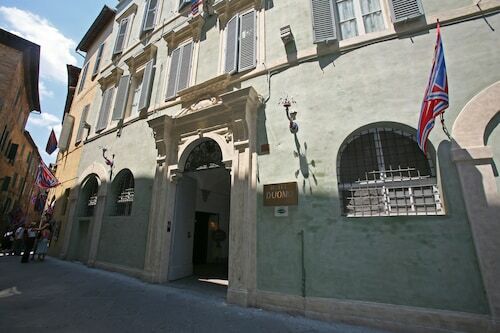 Situated in the historical district, this romantic hotel is within a 15-minute walk of Museo del Tartufo and San Giovanni d'Asso Station. Val di Chiana and Torrenieri Montalcino Station are also within 6 mi (10 km). 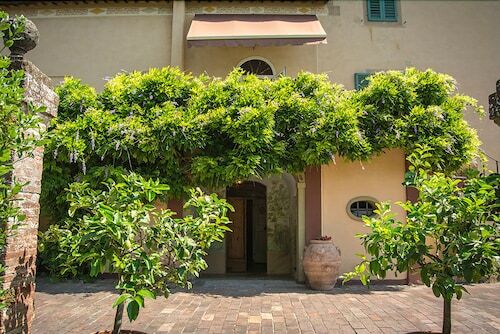 Situated in a rural location, this historic vacation home is within a 15-minute walk of San Giovanni d'Asso Station and Museo del Tartufo. Val di Chiana and Torrenieri Montalcino Station are also within 6 mi (10 km). How Much is a Hotel Room in San Giovanni d'Asso? 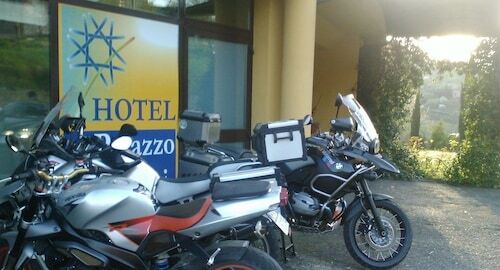 Hotels in San Giovanni d'Asso start at per night. Prices and availability subject to change. Additional terms may apply. Accommodation choices are many and varied in San Giovanni d'Asso. Enjoy browsing the 38 accommodation choices on Travelocity, which can all be found within a 6-mile (10-kilometer) radius of the heart of downtown. 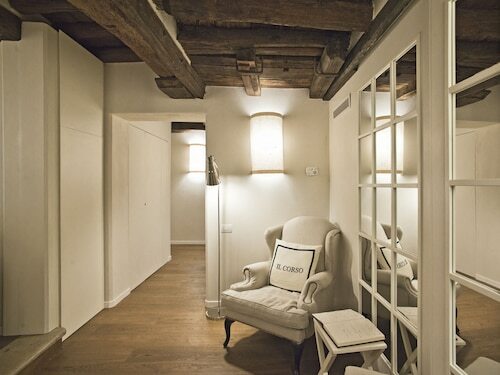 Accommodations you can find within a short walk of the center of San Giovanni d'Asso, are the La Locanda del Castello and Borgo Lucignanello Bandini. Our accommodation list offers only a limited number of economical accommodations in San Giovanni d'Asso. 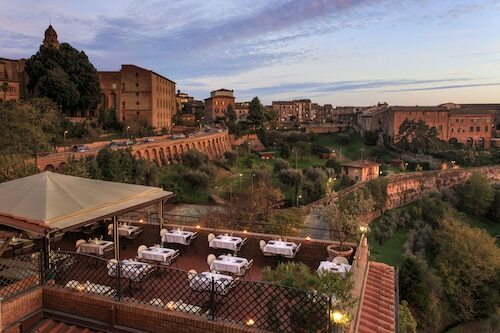 The La Locanda di Casalmustia is one such listing. 15 miles (24 kilometers) outside of central San Giovanni d'Asso, you can find the Castello Banfi - Il Borgo. Alternatively, the Rosewood Castiglion del Bosco is situated 9 miles (15 kilometers) away. Some other possible places to stay are the Castel Monastero and the Castello di Velona SPA Resort & Winery. The wider Tuscany region is certainly worth discovering too. Tuscany is well known for its rural landscapes and beaches. Interesting traveler sites include ruins and castles. Daring travelers might take part in snowboarding and skiing in the area. Looking for things to do? Spend the day enjoying Archeological and Collegiate Church Museum and Torre Rognosa, which you'll find in Val d'Elsa, 30 miles (49 kilometers) to the northwest of San Giovanni d'Asso. When you want to spend a few nights in Val d'Elsa, check out the Tenuta Di Mensanello and Torraccia di Chiusi. 9 miles (14 kilometers) to the south of San Giovanni d'Asso, you will find Val d'Orcia, which is home to the Adler Thermae Spa & Wellness Resort and Hotel Osteria Dell Orcia. The Collegiate Church of San Quirico and Palazzo Chigi are a couple of the popular sites to check out should you visit Val d'Orcia. Get your serving of local sport by making the trek to Stadio Artemio Franchi, which is located 45 miles (75 kilometers) to the north of San Giovanni d'Asso. Sports fans that need to find accommodation options close to the stadium can compare the Four Seasons Hotel Firenze or the The St. Regis Florence. Peretola Airport is located 50 miles (80 kilometers) outside San Giovanni d'Asso's city center. If you desire to find a base nearby can easily book a good option in the Torre di Bellosguardo or Sina Villa Medici.